Netflix’s alleged culture of fear has resurfaced more recently with the news of CEO Reed Hastings’ firing PR Chief Jonathan Friedland. Netflix isn’t alone. The term itself was popularized in a more overarching use from sociologist Barry Glassner’s book simply called The Culture of Fear. Sometimes it’s painfully obvious when the leadership at your company has built a culture of fear. Other times, working in a toxic culture may be difficult to see — especially if you’re the leader causing it. Here’s some warning flags to look out for at your company. Your people think they might lose their job at any time. You should never blindside your employees with the possibility they’ll lose their job. When leadership decides to let someone go, everyone in the company should know why it’s happening. There shouldn’t be any surprise. If there is, everyone is affected. Those let go potentially have their lives ruined while those who get to keep their jobs are scarred with the reality that today could be their last, too. This fosters an environment where it’s nearly impossible to be productive. There are no confrontations. When you get a collection of people who are passionate about what they do, you’ll get conflict. The more difficult the challenges your team faces, the more they’ll have disagreements about how to tackle them. Instead of trying to hide them until your next annual review, face them head-on so your team can move on. Not sure how to get started? Let me send you my free e-book with a practical approach to making uncomfortable conversations productive. Leadership is sending mixed messages. No one likes someone who says one thing and acts differently. When leadership does it, that’s a warning flag. When the mixed message is around your culture, that’s a big red warning flag. You can claim to have a great culture all you want, but your actions need to back it up. If they don’t, your people will follow how you act — not what you say. Meanwhile, they’ll stop believing anything you say. Leaders don’t walk the talk about their core values. Like the point above, but it’s worth distinguishing because your core values are how you run your business. You establish them. If you can’t follow them yourself, it means they’re not really your core values — they’re just made up words. So, why should anyone else follow them? Things are consistently vague. Sometimes there aren’t many details to give. That’s normal. Other times, leaders leave details purposely vague. When you clarify things, people can hold you accountable for them. Some leaders don’t like that. If nothing is clarified, anything can be left to interpretation. That makes it easier to throw someone under the bus for doing something they didn’t know was against the rules. It’s a huge warning flag whenever leadership starts making commitments to their tribe with loopholes or strings attached. 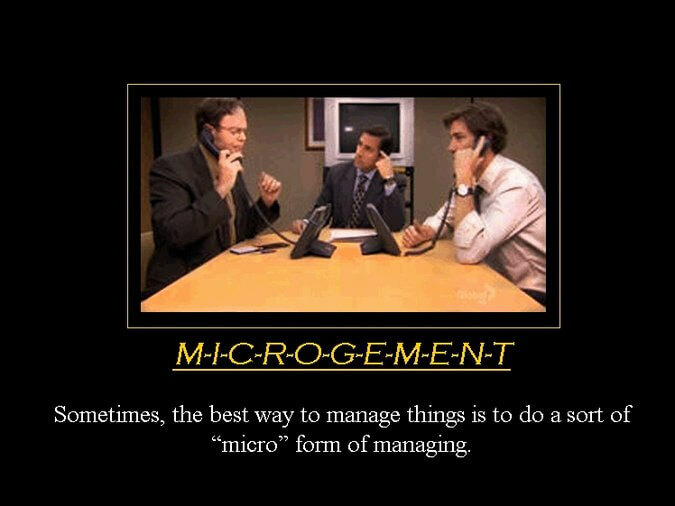 Your team leaders are micromanaging. If the team leaders at your company are micromanaging their people, that’s an indicator they don’t trust them to do a good job. They’re afraid of them failing and, usually, that fear stems from them not wanting to have to deal with the ramifications for the failure. As a leader, when you see micromanagement happening at your company it’s time to take a step back and see if your leadership style is promoting that sort of behavior. Seeing one or two of the warning flags above doesn’t mean you need to panic. It doesn’t necessarily mean your company is harboring a toxic environment for your employees. Like any warning flags, though, they can be indicators of a toxic situation. If you’ve identified some of these as potential warning flags at your company, don’t sweep it under the rug. That’ll only cause the problem to fester and grow until it comes back much larger and difficult to handle. When you start facing the warning flags head-on, you can resolve issues before they get out of hand. That’s how you maintain a positive culture for your employees so they, in turn, can focus on steadily growing your business.